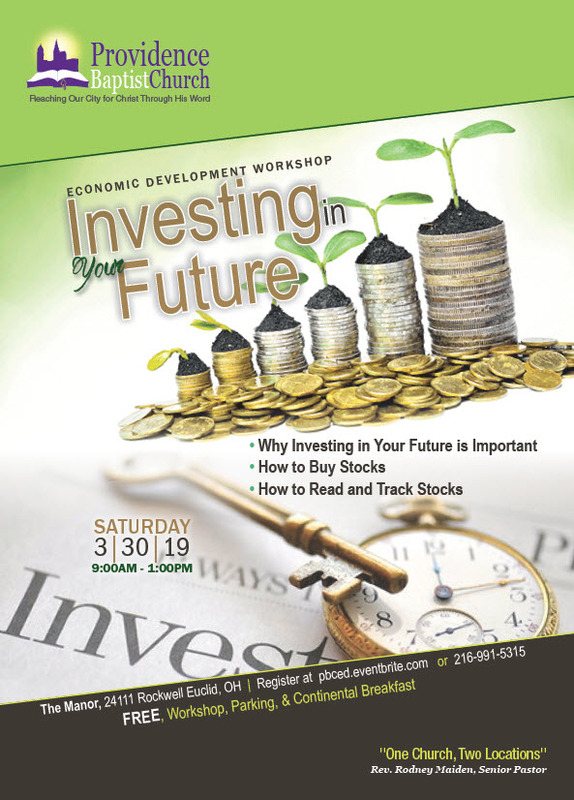 The Economic Development Ministry of Providence Baptist Church is offering a FREE seminar on investing. We’re debunking myths and fears about investing in the stock market. Please join us for an informative session on how you can start investing with what you have, and watch your money grow. Gain knowledge that goes beyond being a consumer to thinking like an investor. Our key note speaker will do a live demo - purchase of stock during the session and be available to answer your questions. So, don't miss this great opportunity to hear a valuable discussion that can change how you feel about the stock market. It's free! This Seminar is 100% FREE and open to the public. Please CLICK HERE or the button below for your free registration.